Product photos are very important, how else are you going to show your product off when people can’t touch it? I don’t think mine have been particularly good so far so I decided to try out a D.I.Y. lightbox. The tutorials are great but I don’t have all the equipment so I’m making do with what I do have. Here’s a suitably large box – I have some large rag-dolls which I hope will fit in there! Following one of the tutorials I cut my box like this. Then because I don’t have any white card I draped an ironed (might need another iron!) white sheet in it to create my light bouncing background. The first picture was taken using natural daylight, it looks ok, though a bit drained of colour. The tutorials suggest using picmonkey to adjust the exposure of your photo, so I did just that and the second picture is the result – much better! Though that sheet does definitely need another iron! Here’s a picture of a sock toy I made for a workshop undergoing the same treatment. Again this is with natural daylight. Now I don’t always have good light in my house and I only have one daylight bulb lamp whereas the tutorial says to use two – I’m not going to be buying another one, so again I’m making do with what I have. Ooo, like a mini studio! This is the result this time, A bit more of a shadow behind but not bad! Again the first picture is as it comes, the second has had the picmonkey treatment. Next I tried putting the light in over the top. I don’t think it works as well, I don’t like the double shadow, but perhaps it’ll work better with different shapes? I put the lamp in a bit closer. I found the whole thing very interesting to do. I realise I have more to learn about lighting and perhaps using different camera settings too but I do feel like I’ve made a positive step towards getting better product pictures. I hope this blog post will be helpful to you too! I’ve been using iPhoto to tweak every image. I keep dreaming there is a camera somewhere that can be purchased that takes images that don’t need tweaking. Let me know if you know of one. I find one of the most useful functions of PicMonkey to be the “neutral picker”, which can be found under the “Colors” section. If you click on the neutral picker button, then click on the area of your photo (in this case the background) which has a colour cast, it will correct it for you. Simples! The result is not always perfect, but try clicking on different areas of the background and tweaking the sliders afterwards until you’re happy. I’ve not used ipiccy Elaine, I shall have to have a look! 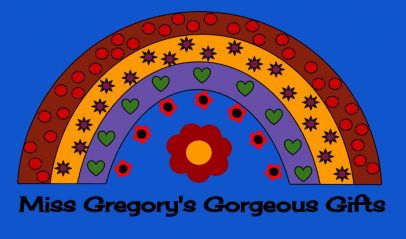 Signup to Miss Gregory’s Gorgeous Newsletter Family!